Looking for Baby Boy Clothes or Toddler Boy Clothes? 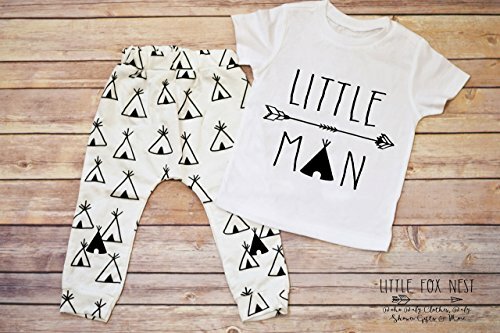 This awesome teepee pants and "Little Man" t-shirt makes the perfect addition to your little ones wardrobe or special gift- am I right? Makes a great birthday gift or christmas gift. Perfect for Boho, Rustic, Woodland Critters, Fox Lovers and more. Laughing Giraffe or Kavio is the brand we use for the t-shirts, they run true to size or slightly big.